I’ve never used the top part of my garlic. I’m excited to find that I can now waste one less plant part. 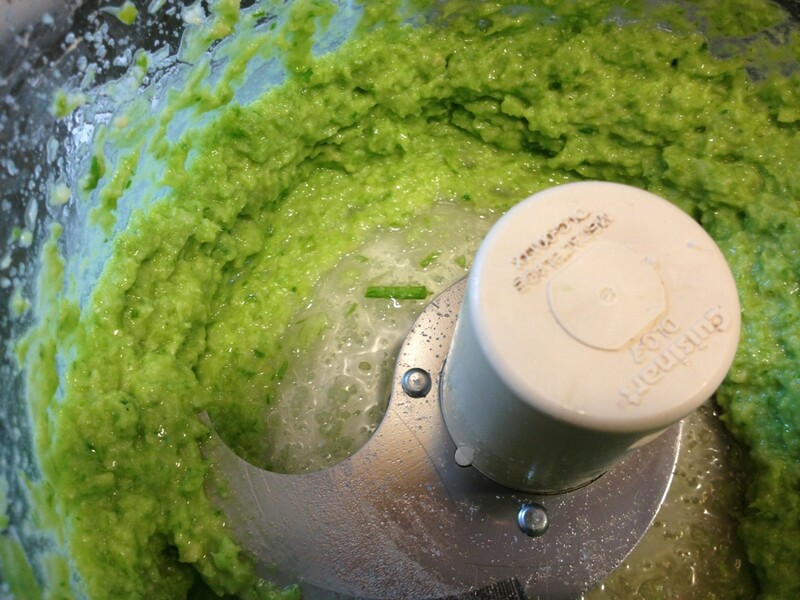 You can’t miss with garlic, romano, and olive oil. How exciting! It won’t disappoint! Mmm… this looks fabulous! 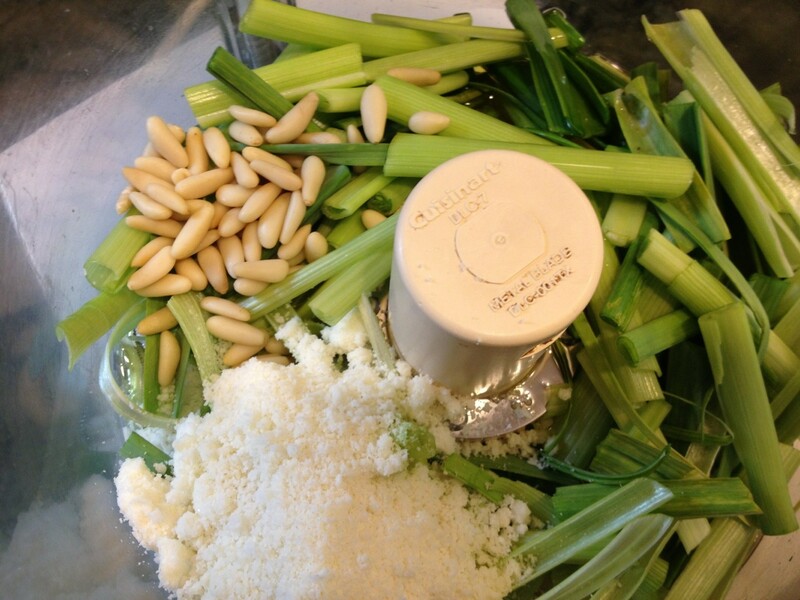 I will definitely be scrounging for some green garlic at the farmer’s market this weekend. Hurray! I do hope you enjoy it! this sounds so good! 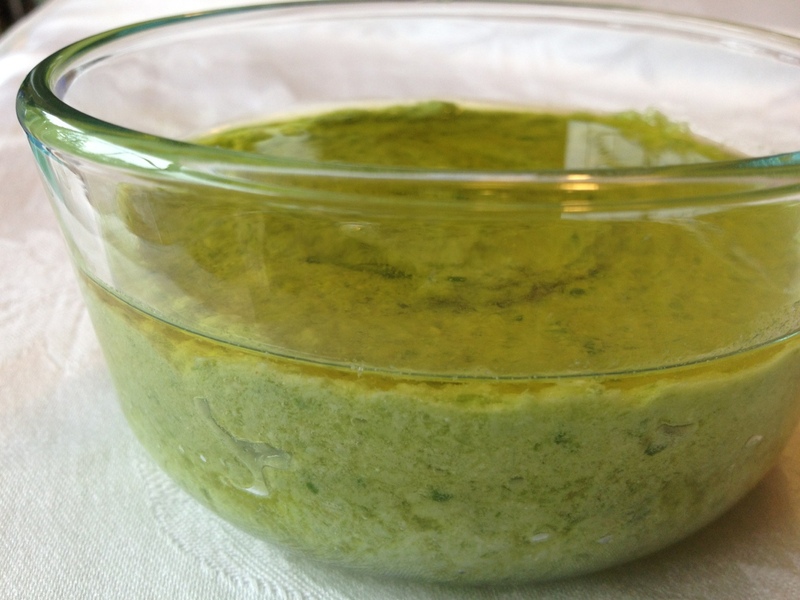 Three years ago I made cilantro pesto and recently found a little container in the freezer, it’s still good! and smells fresh and summery! this year I planted five different kinds of basil for more pestos and I have to add this! This may just be the year for pesto! Here’s to the year of pesto! Five types of basil? I can’t wait to read all about what you make!